Sent you a PM I'll take it. Jaykay I know the part is sold, but could you clarify for my education: so this part would allow the fit and use of use of the regular 986 S (7.2 DME) MAF, but with the 987 airbox and its improved flow and larger diameter to the throttle body? Would this combo run and produce appropriate A:F ratios without reflashing the 7.2 dme? Just curious. And thanks in advance. 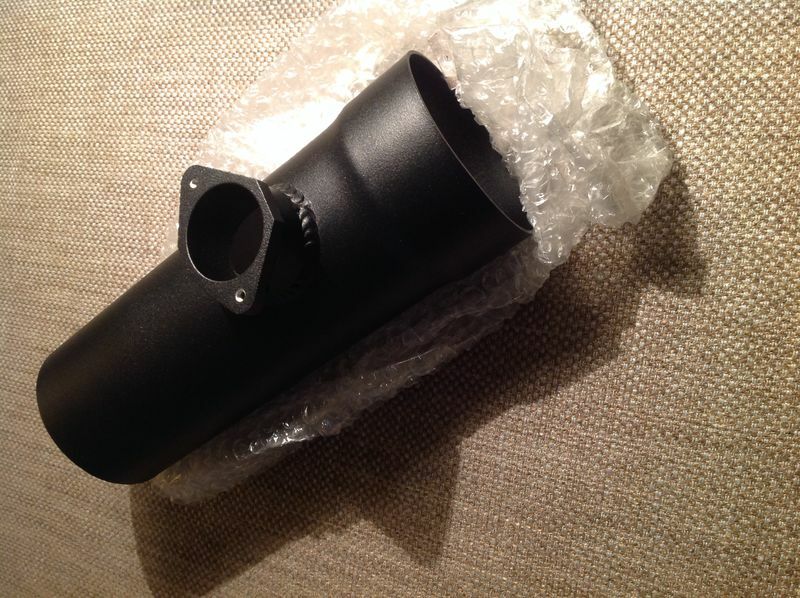 Hi there this MAF housing is the same diameter as the stock 986 housing which is incorporated built into the stock 986 airbox (04 550 anniversary excepted). With its use the stock mass airflow calibration is maintained. There is no need to re map or retune the car. One would make use of this when installing a 987 airbox or custom intake without having to cut out the stock airbox MAF piece or making one from scratch. IIRC just 1mm out on housing diameter can affect MAF calibration which in turn affects A/F mixture; fuel trims; engine performance.